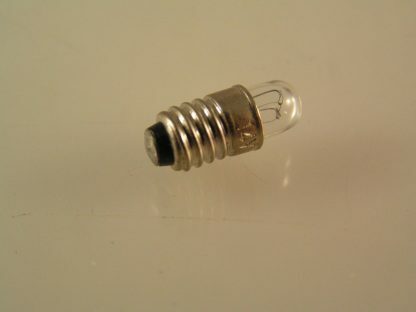 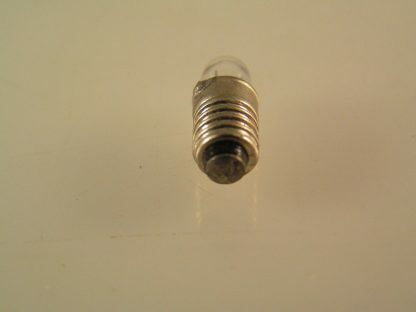 A miniature Lilliput Edison Screw (LES-E5mm) bulb. 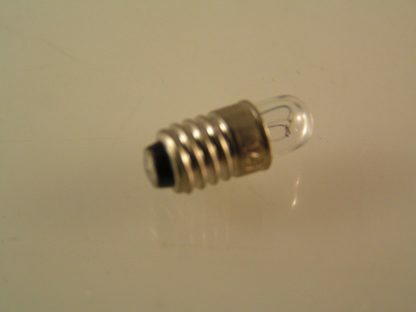 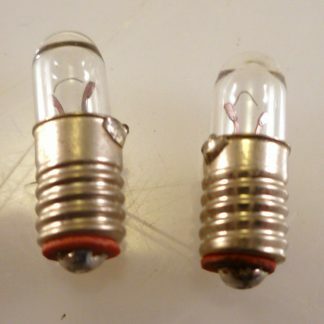 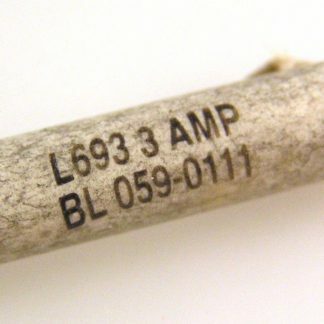 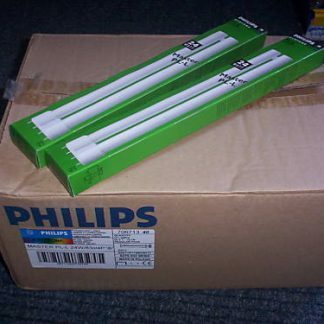 Used in many applications such as panel lighting. 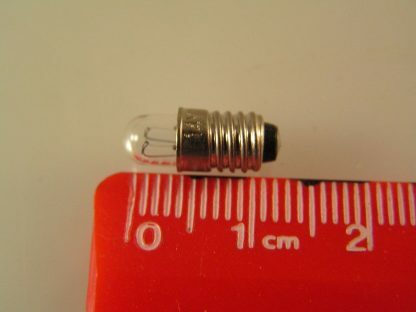 This small bulb has an average life of 5,000 hours. 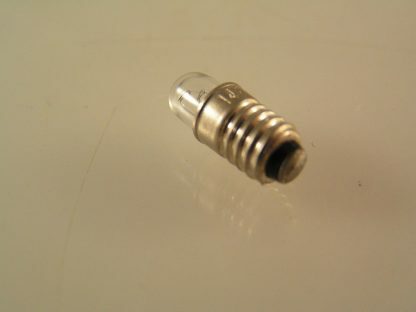 Why not get that old indicator light on your piece of equipment working again and you have a spare!! 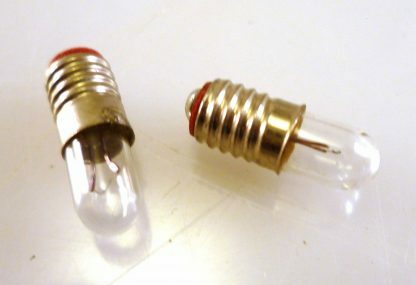 !Model railways, panel mounted indicators etc. 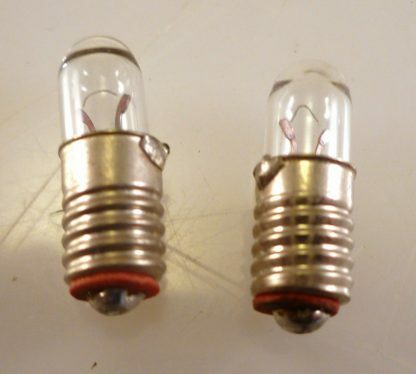 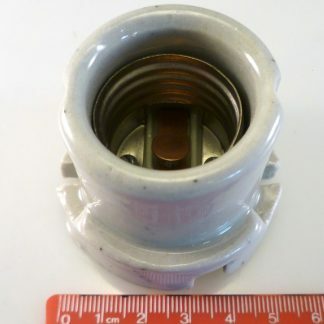 – we have some nice white domed panel mounted indicators to suit these bulbs for sale in our shop.We also stock lamp holders.